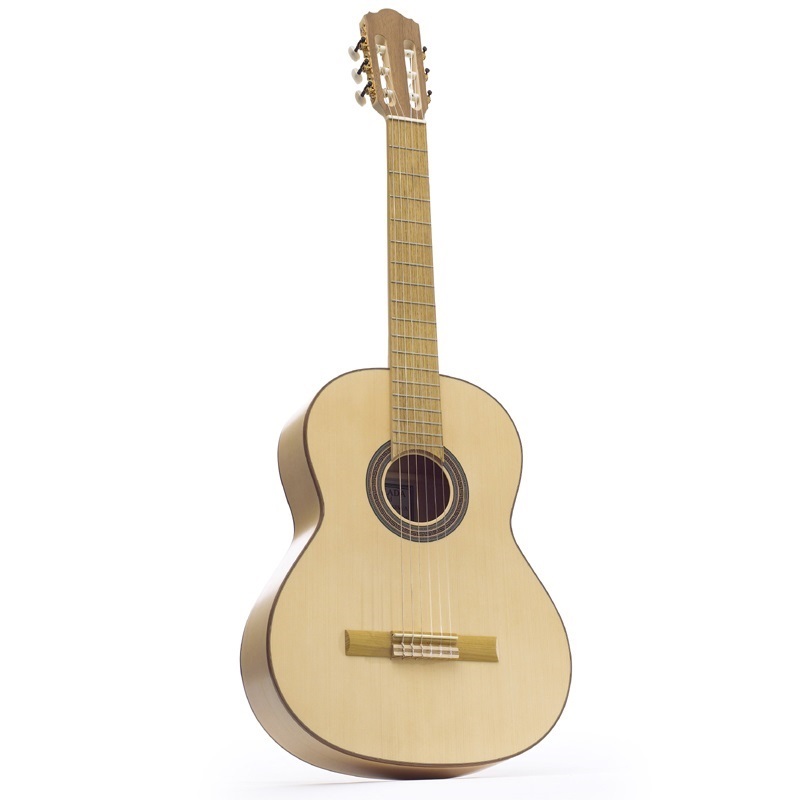 The Hokada Silver classical guitar is part of a range of European made ecologically sound guitars. These contemporary guitars are made from carefully selected woods from the Danube plains and Carpathian mountains in Eastern Europe, dried naturally over 5 years. Where possible the guitars are from sustainable sources and use ecologically sound natural finishes. The Hokada Silver guitar features a solid spruce top, laminated back and sides, a maple neck and acacia fingerboard. These are guitars that stand out from the crowd. Available in three models with ash, maple or walnut back and sides.